One might question how relevant a 2002 release can be on a brand new console, which is supposed to support new titles, instead of rehashed material in order to thicken its library. Nonetheless, the Switch is a fairly unique device, and with the recent release of Syberia 3, it might be fun to wade through part 1 and 2, before diving into the latest adventure. We were lucky enough to dive back into the past, and research the curious case of the automaton factory in a backwater town with the help of Kate Walker, who clearly wants to get the job done. 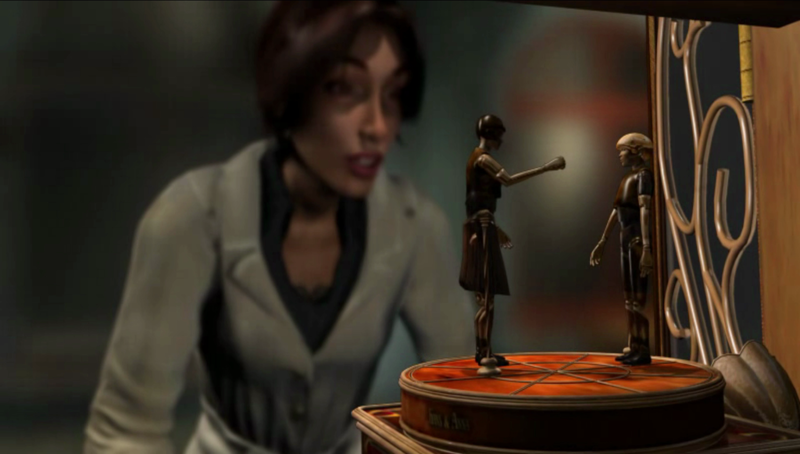 In Syberia you’ll play as business lawyer Kate Walker, who is sent to a backwater village in France, to complete a deal with a local automaton factory, making it part of a big toy conglomerate. Sadly upon arrival you learn that the owner of the factory recently died, complicating things, especially when the local notary informs you that there is an heir who now owns the factory. Sadly, there is no clue on the whereabouts of this mysterious heir, forcing Kate to go on a journey through Europe, in order to track this person down, hoping he’ll sell the factory. The story progresses at a steady pace, and with each puzzle you solve, a small snippet is revealed about the world that opens up around you. While the story itself might not always be the most interesting aspect of this title, it’s the atmosphere of the game that makes you push forward. While, for a game that was released in 2002, the graphical quality isn’t bad at all, the game is somewhat dated when it comes to character models, realistic movements and overall hit detection, as you’ll come across many invisible walls on your travels. Other than that, Syberia is a very pretty game, as it has a lot of beautiful backdrops, many fun animations when you activate items and overall a great diversity when it comes to the different sceneries. In many ways it doesn’t feel like a fifteen year old game, simply because the static pictures are done in such a fantastic way, making it shine on the Switch’s tiny monitor, or even on the big screen when you’re not playing in the device’s handheld mode. Even though the game might feel dated at times, we can still understand it still being a relevant game, even though the technology used in the game feels a bit ancient. As it’s clear that the creators want to feature the different games on the Switch, it’s fun to see this old piece of work getting revamped for this new, next-gen console. The sound design of this game is spot-on, especially when looking at the voice acting of this title. The voice acting might also sound a little bit dated, with somewhat awkward pauses in the conversations or clunky transitions, the voices themselves were clearly chosen with care and show the perfect amount of emotion, especially for a game that dates from an era where this was often considered as a minor detail. Every conversation is voiced, safe for letters, newspapers and other memos. When looking at the music, or more precisely the lack of, it’s easy to say that the environment noises are what sets the mood in a fairly subtle fashion, rather than in your face, which is a great choice for a puzzle/adventure game such as this. With mentioning the lack of music, we don’t mean that there’s no music in the game, as there is, but it only pops up in environments that have no background noise. 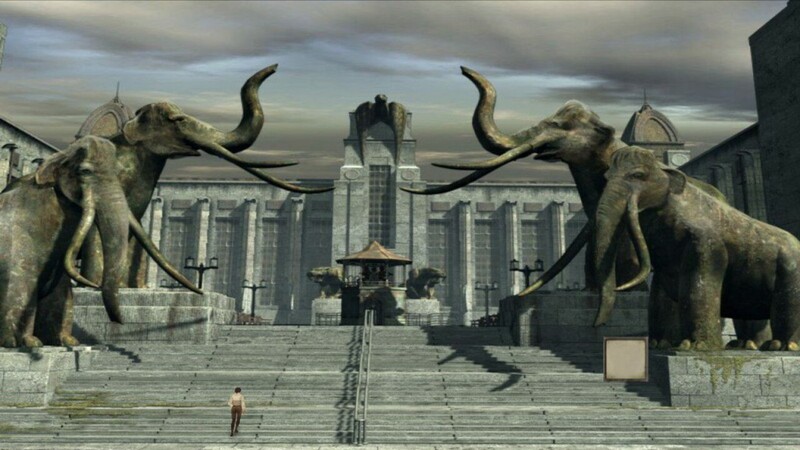 Syberia is adventure game that has a fair amount of puzzles and point and click elements. 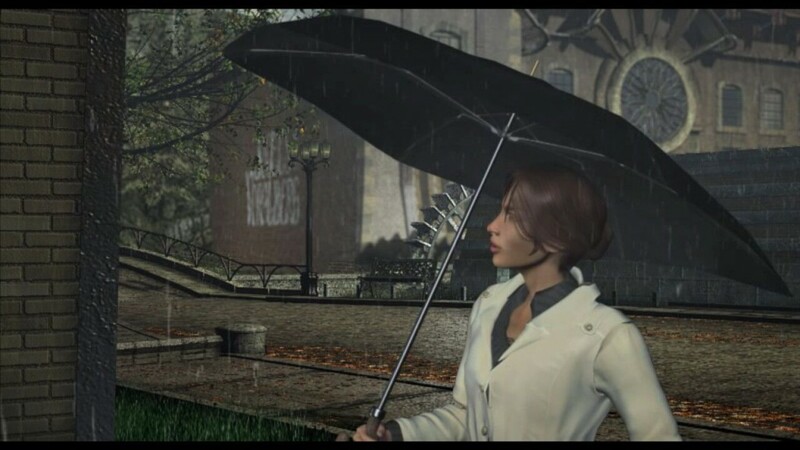 In many ways the game is reminiscent of older Resident Evil titles, albeit without the horror elements and focusing more on the puzzle aspect. You’ll be running around different portions of Europe, to find the heir of Anna Voralberg, in order to finish the deal for your employer, allowing him to take over the now lifeless automaton factory in the backwater village in France. Most of the time you’ll be exploring the limited areas you are thrown in, in order to complete a set of puzzles, to progress to a new area, where you’ll have to do the same. While the game has many different areas, or at least sceneries, many of them are just there to look pretty and add a bit of depth to the world. Nonetheless, you’ll have to leave no stone unturned, as you’ll need every clue you can find, as well as all collectible items, as they will come in handy sooner or later, making sure you don’t have to backtrack too much. Every time an area opens up, it is advised to take whatever you can with you, as you’ll certainly need those items later on to progress. It’s easy to say that while many puzzles are somewhat logical, there are many other that require you to put your gray matter to the test and don’t always feel as logical as you’d like. Nonetheless, the charm of the game makes up for a lot, and makes exploring rather fun. The latter is certainly a key item, as you’ll have to go from one place to another quite often. While most of the game is still good after fifteen years, there are a few aspects that have dated in such a horrible fashion that they hold the game back from truly shining on newer platforms. You’ll constantly run into invisible walls, which make movement very annoying and tedious in areas where it looks like you have all the space in the world, but still have to follow a predetermined path. Hit detection is another item that’s quite annoying when playing with a controller, as you’ll have to position yourself in such a perfect fashion before an interactable item triggers itself. Granted, these items are certainly something common in the original release period of the game, but they should have been smoothened out, or at least improved before releasing the game on our current generation of consoles. 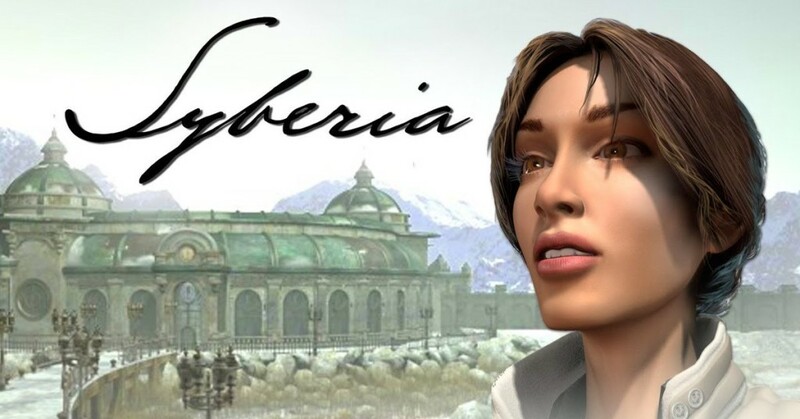 Truth be told, Syberia is still a very fun game to wade through, even if the difficulty level isn’t something we’re used to anymore, as most new puzzle games often take us by the hand and guide us through the entire experience. While it’s clear that this rerelease still has a lot of items that aren’t tolerated anymore, such as wonky controls, a ridiculous amount of invisible walls and fairly dated character models, the overall puzzles remain enjoyable, and the atmosphere of the game hits the sweet spot on so many levels. If you have already played this classic, then there’s probably not that much new this port can offer, but if you missed this title the first time around, it might be fun to play the game on the go.